Sometimes an idea comes along that makes so much sense that everyone feels good about getting behind it. In this case it’s the Major Cities Chiefs Association and other groups making a common-sense plea to make the provision of body armor to police officers mandatory. And considering the fact that far more cops are killed in accidents on the roads than by assailants the organizations are also pushing for the mandatory use of seat belts by officers. In fatal shootings, 36% of officers killed from 2003 to 2012 were not wearing body armor, according to FBI statistics. 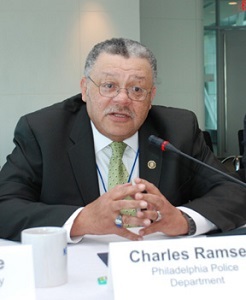 “It is our responsibility to do everything we can to reduce officer fatalities and improve safety,” said Philadelphia Police Commissioner Charles Ramsey who also serves as the president of Major Cities Chiefs.